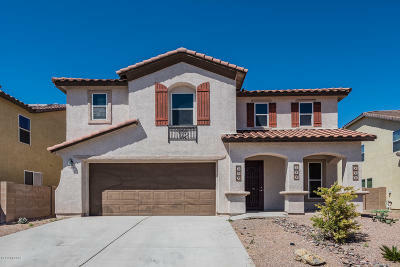 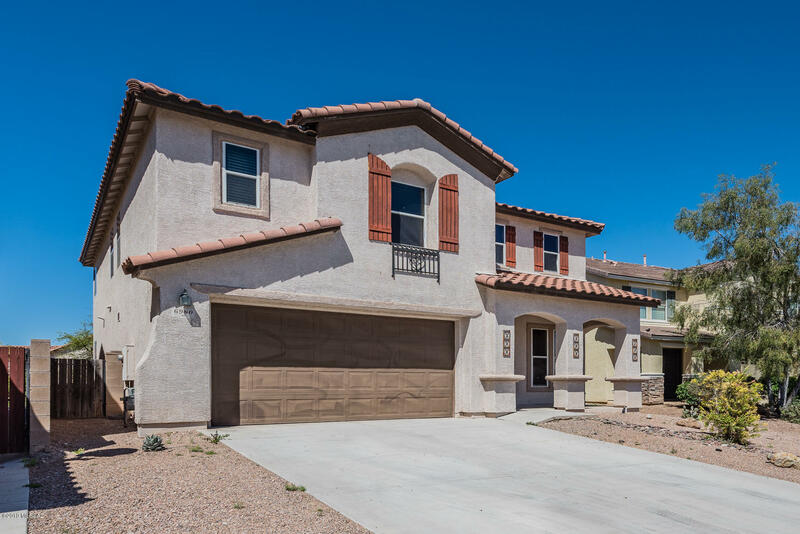 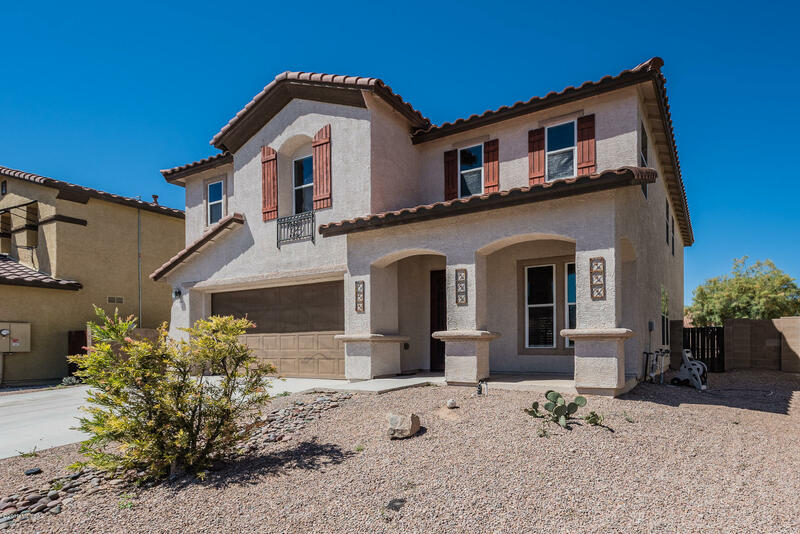 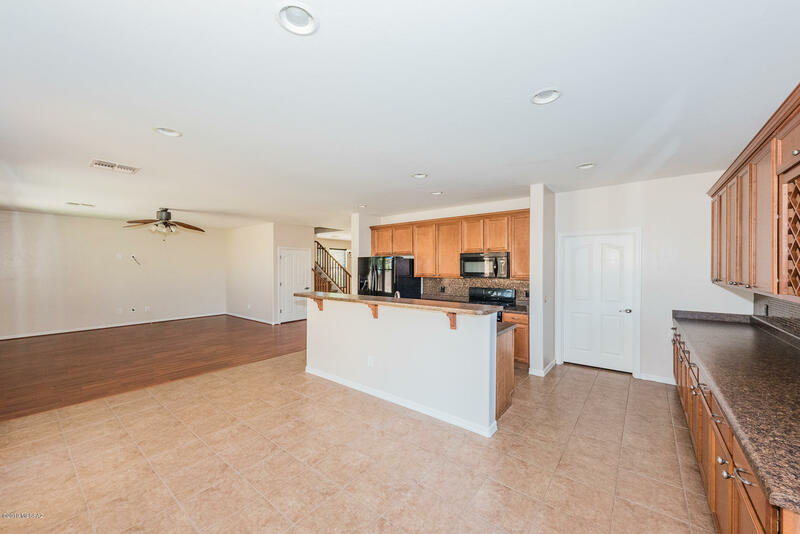 This is a must see, 4bd/2.5 bath spacious home that is absolutely move-in ready and sure to impress! 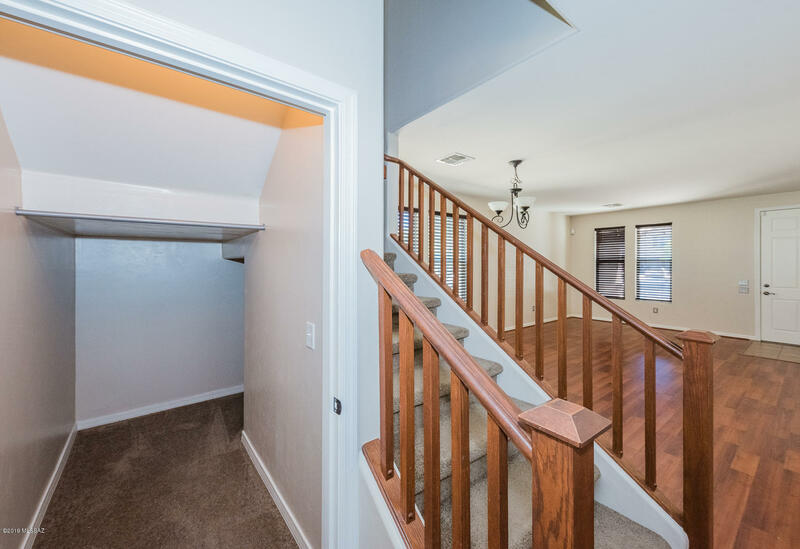 Freshly painted interior!! 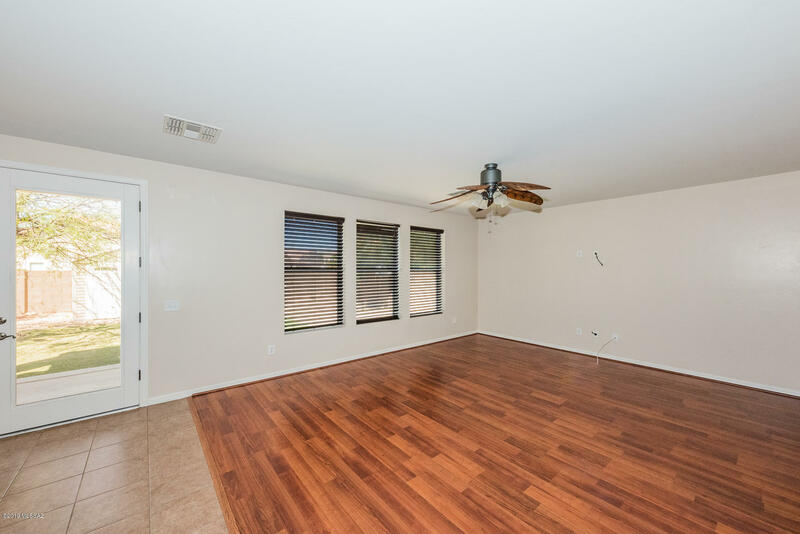 The home boasts a living room, formal dining area, family room off the kitchen and faux-wood blinds and ceiling fans . 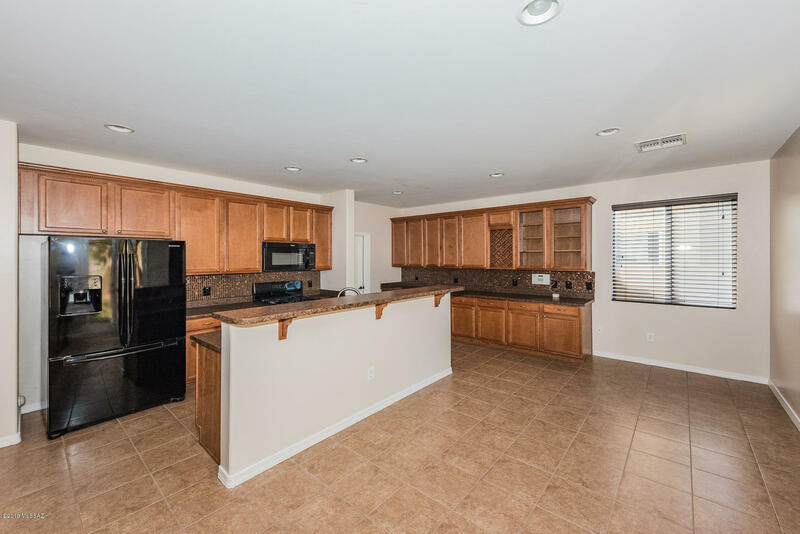 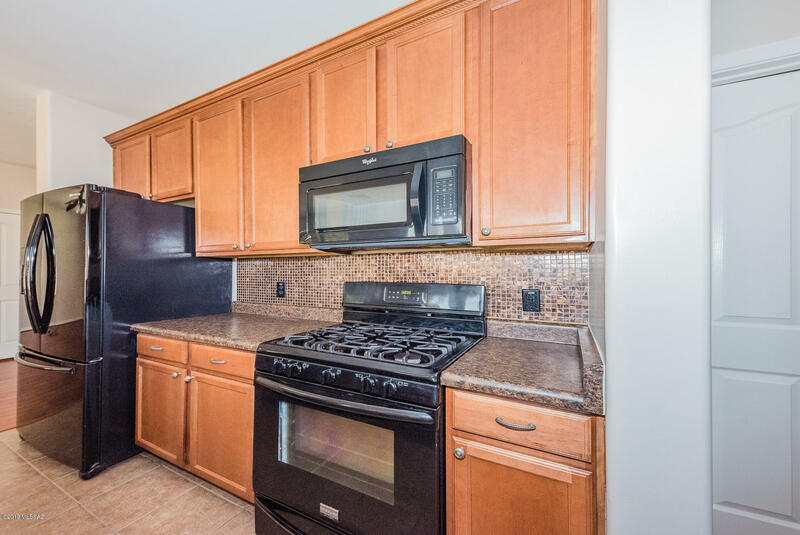 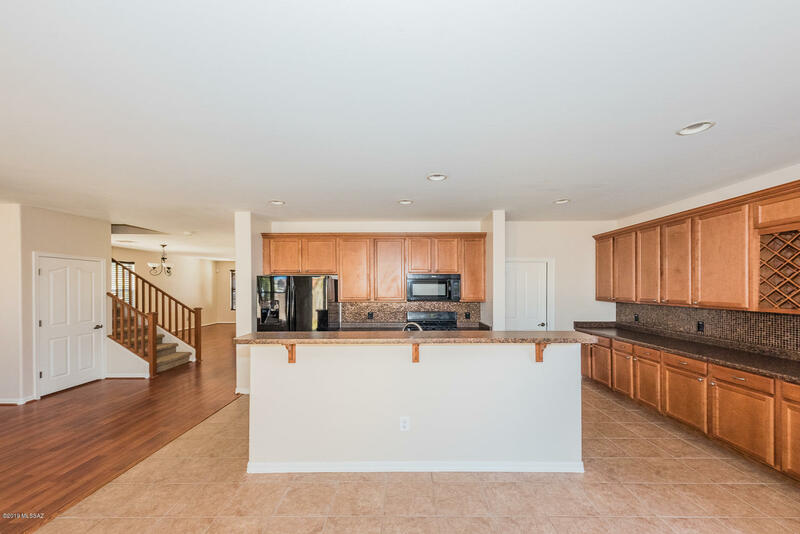 The kitchen has all black appliances with upgraded cabinets with a built in wine rack and a walk in in pantry! 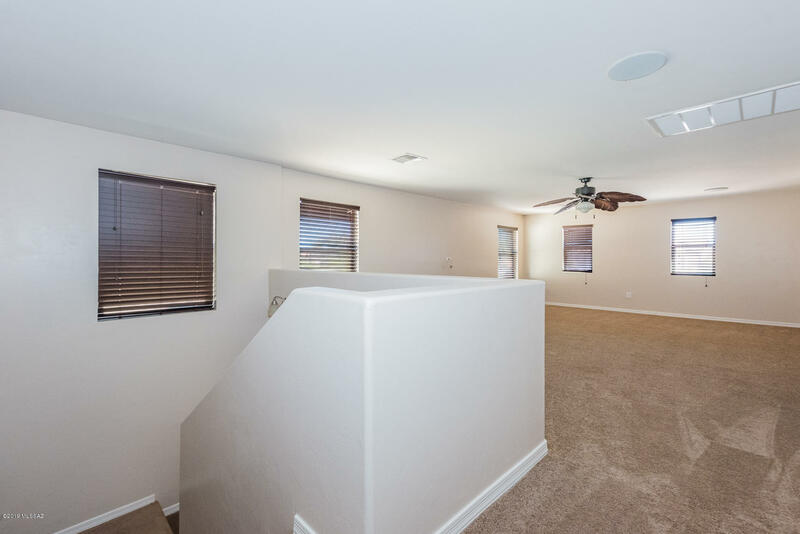 Upstairs has a huge entertaining loft with built in surround sound speakers. 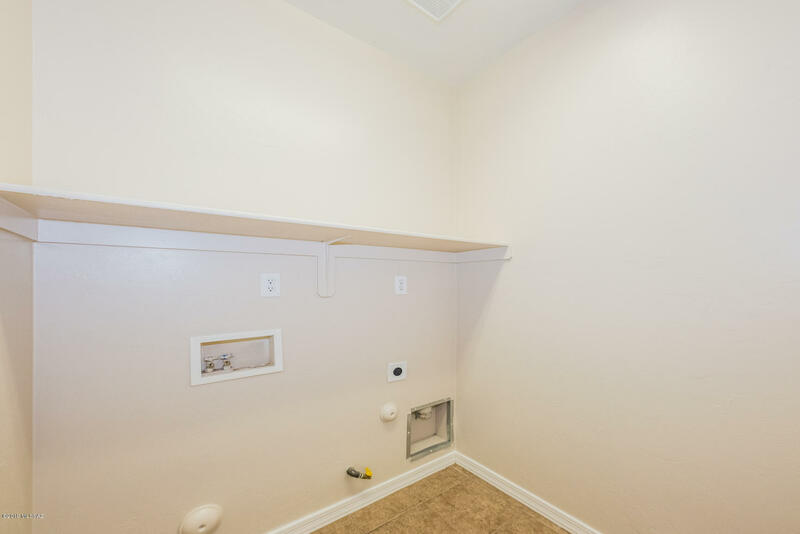 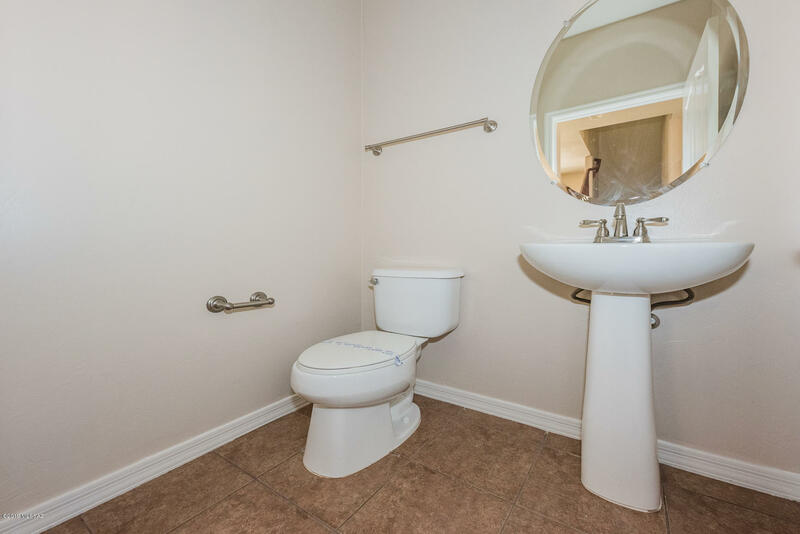 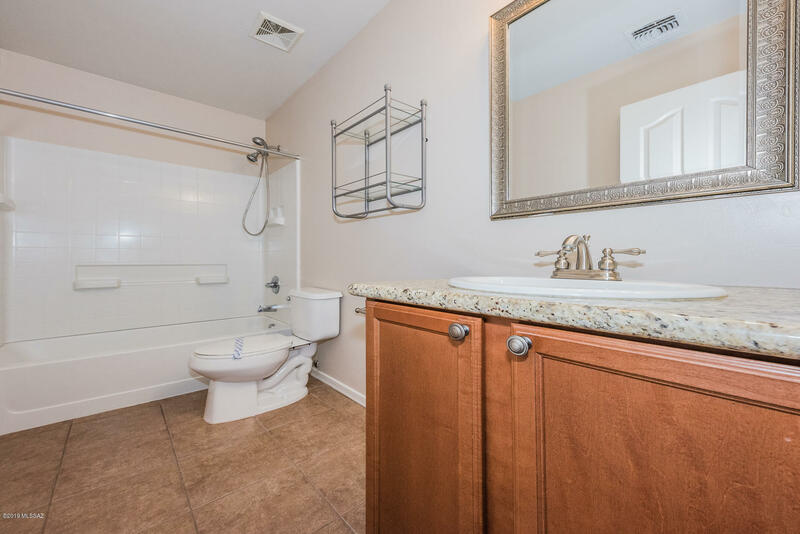 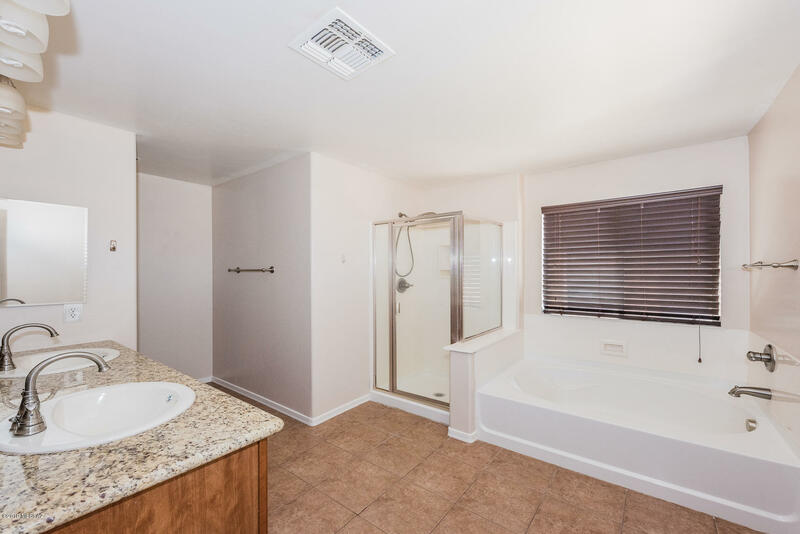 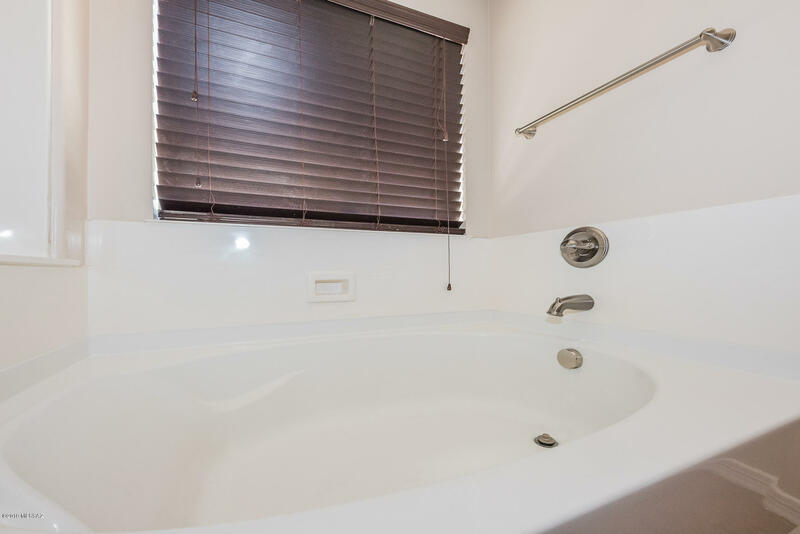 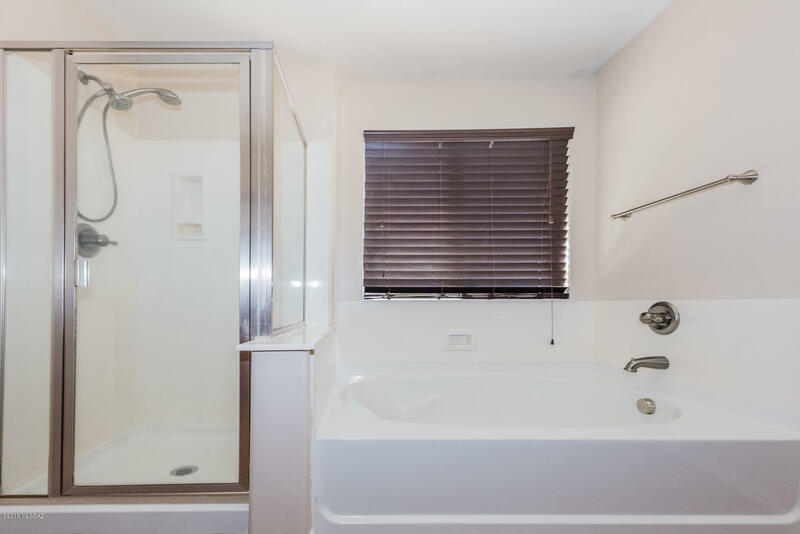 The master bedroom has a walk in closet, separate tub and shower, upgraded dual vanities with granite counter. 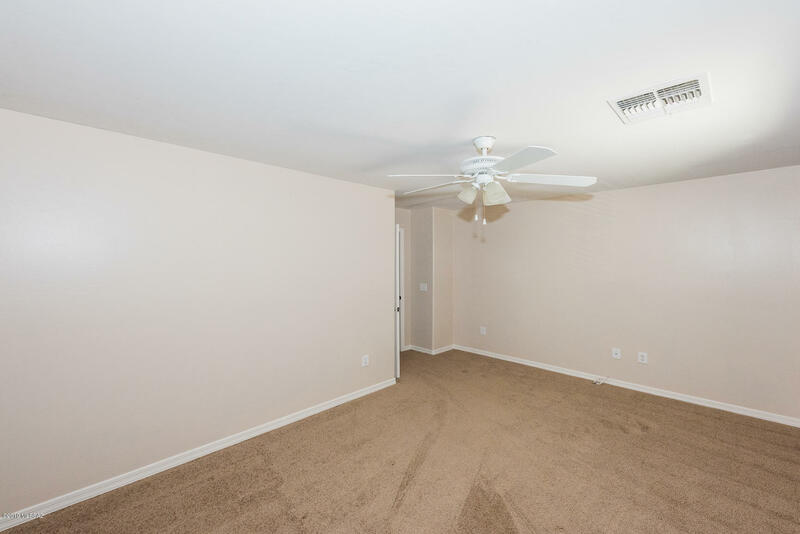 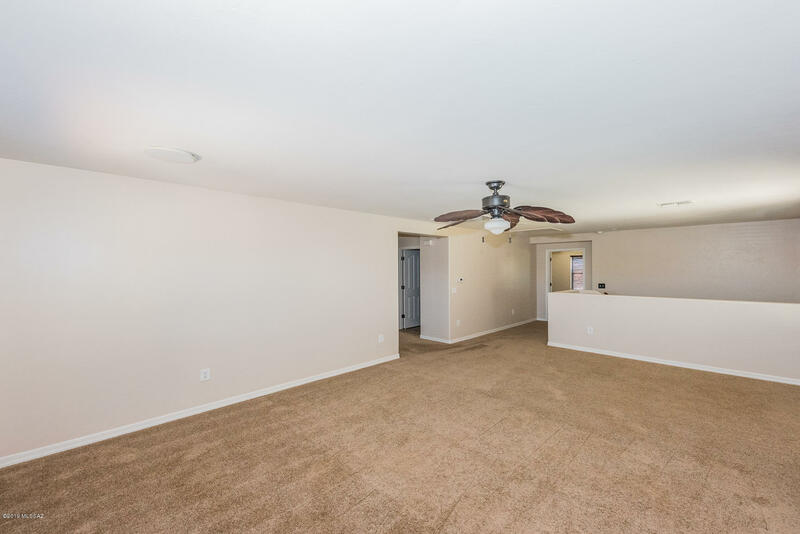 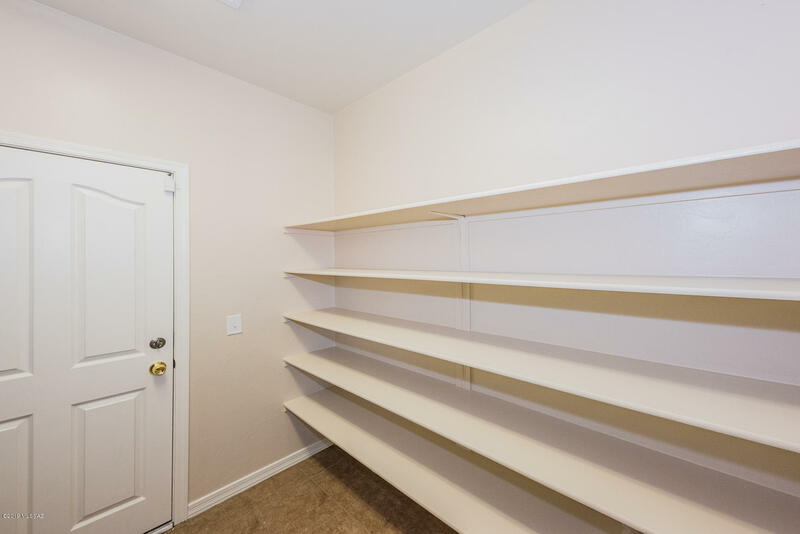 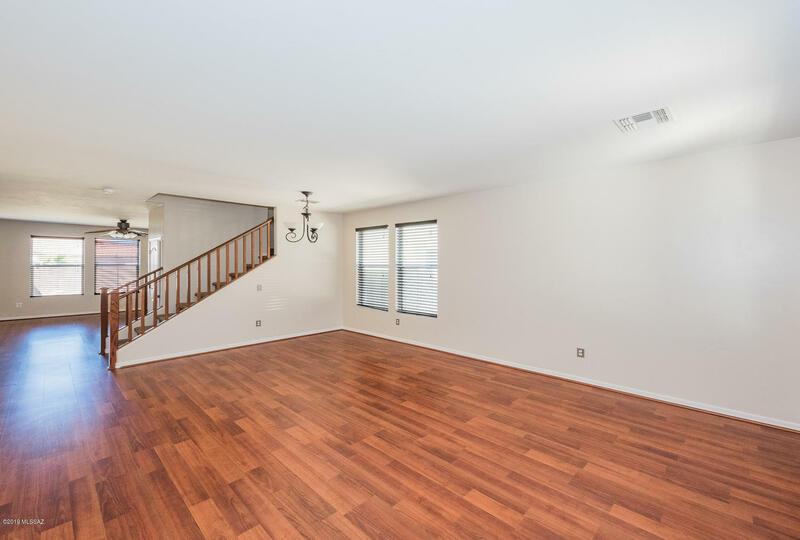 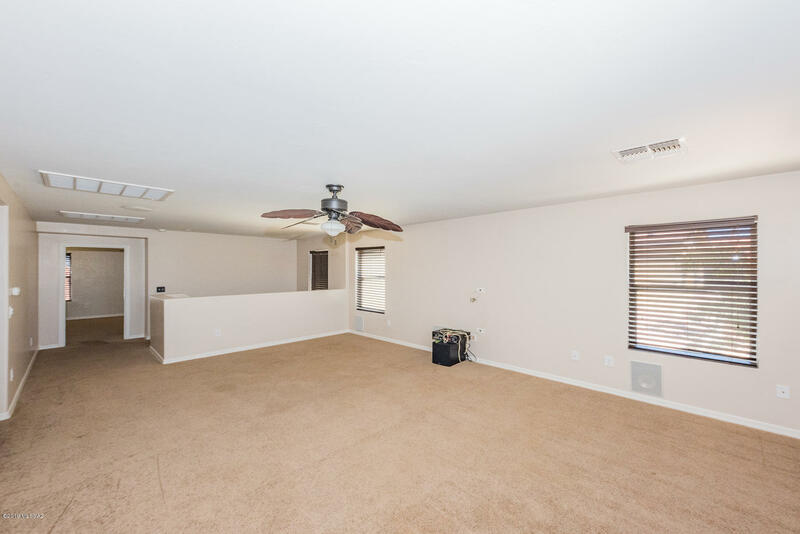 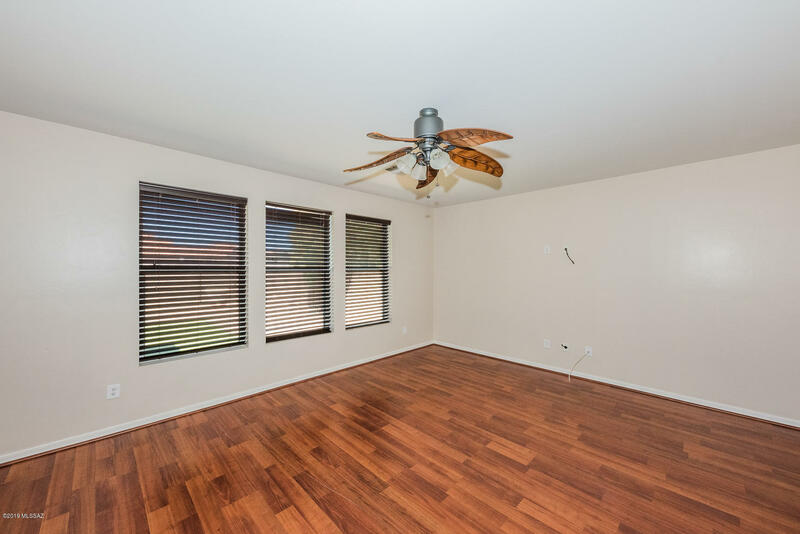 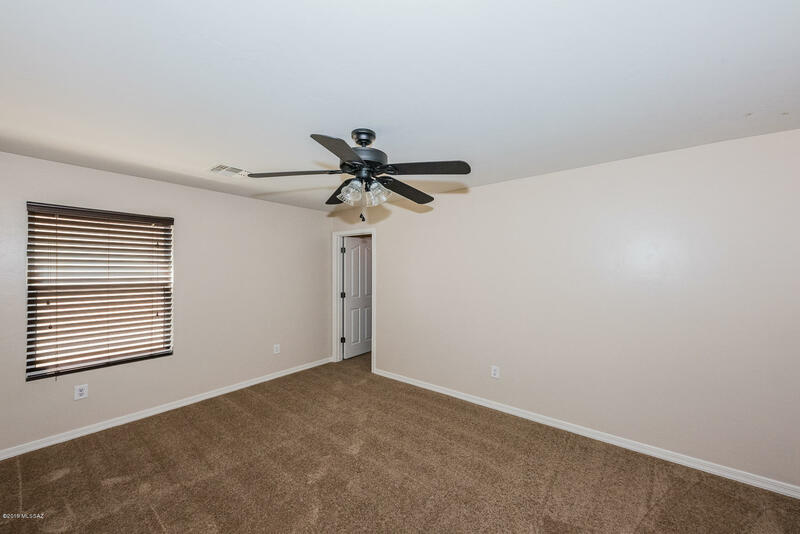 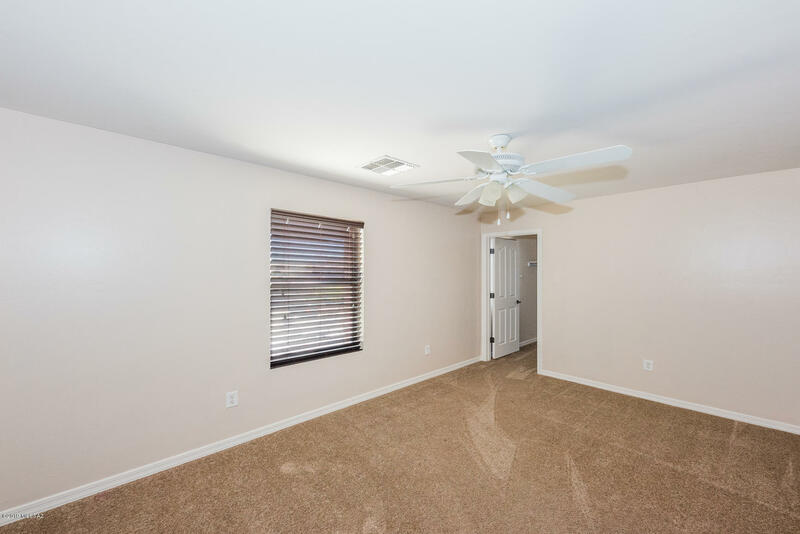 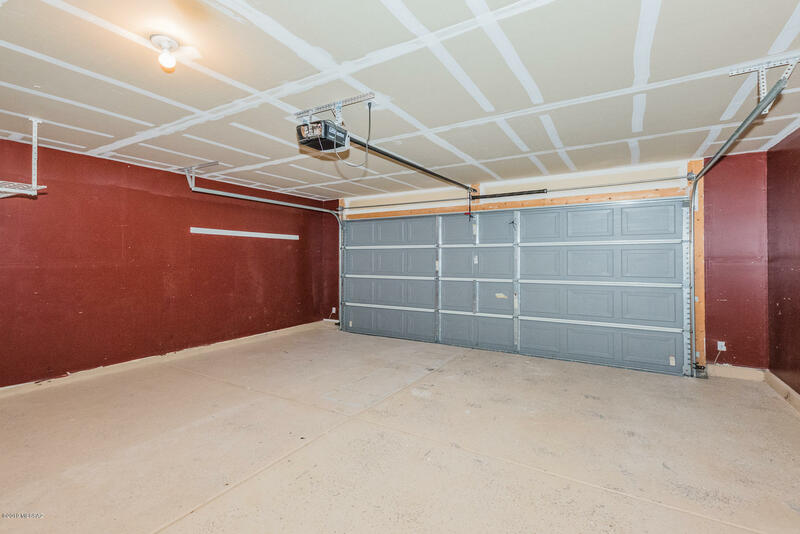 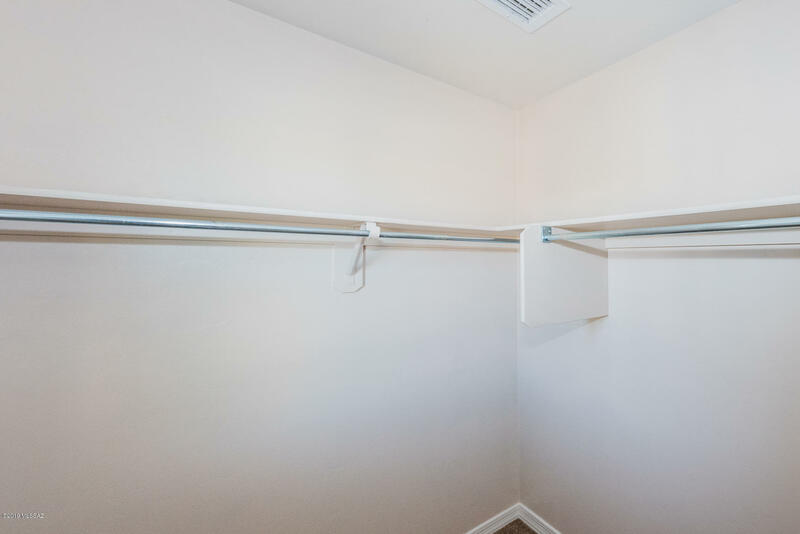 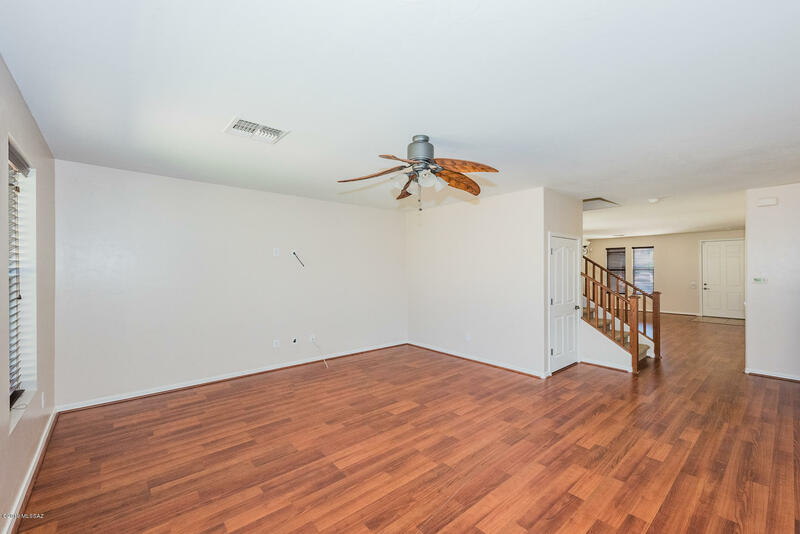 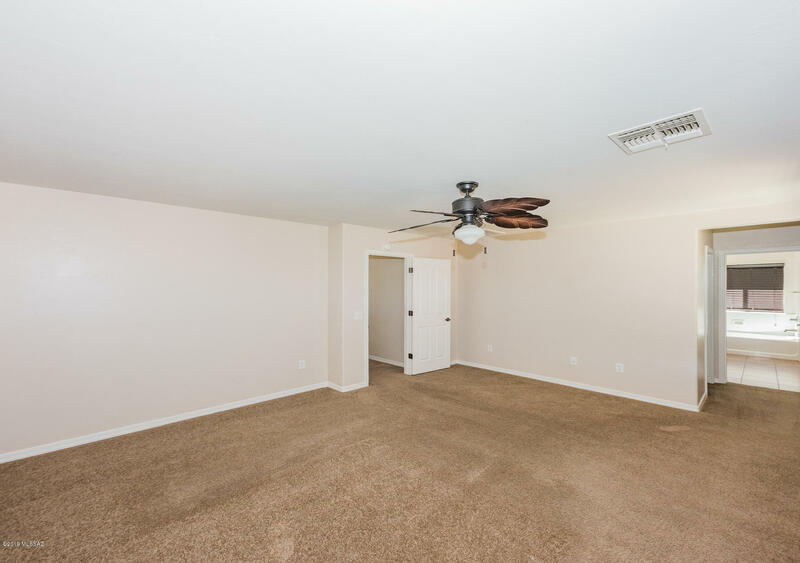 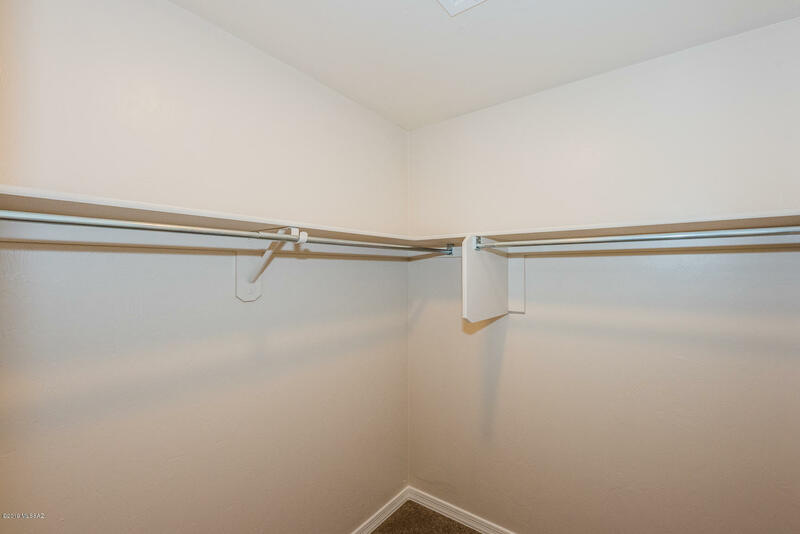 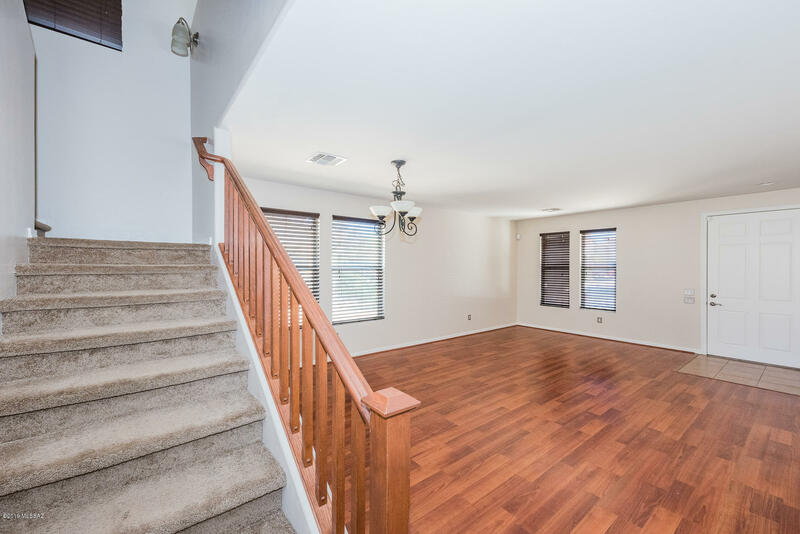 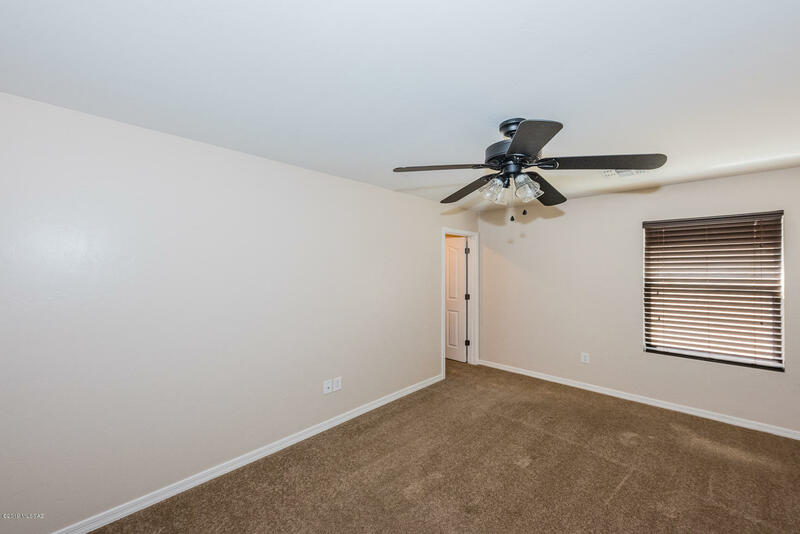 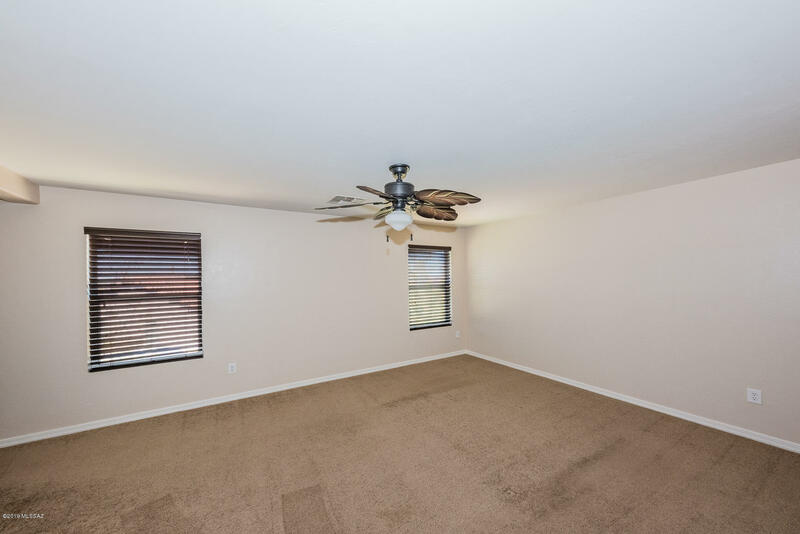 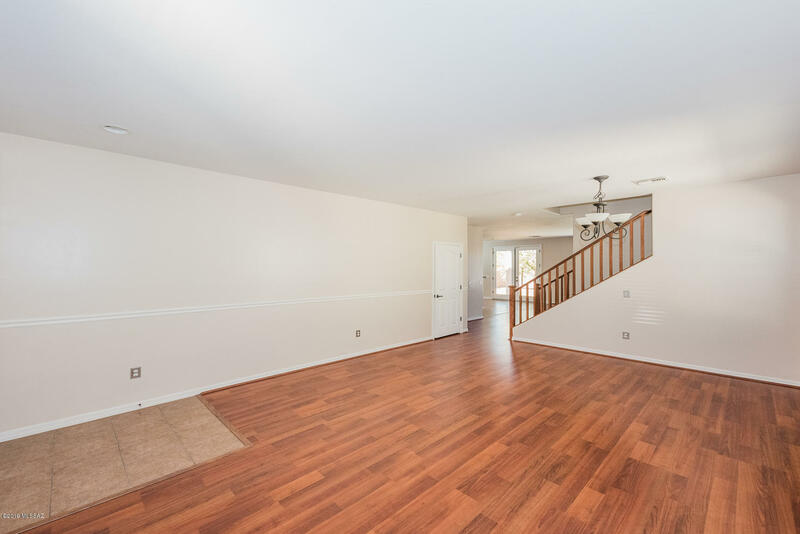 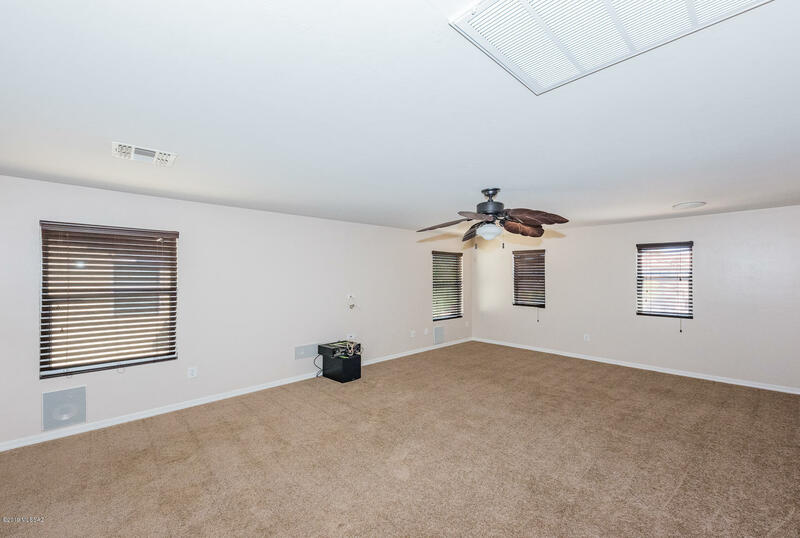 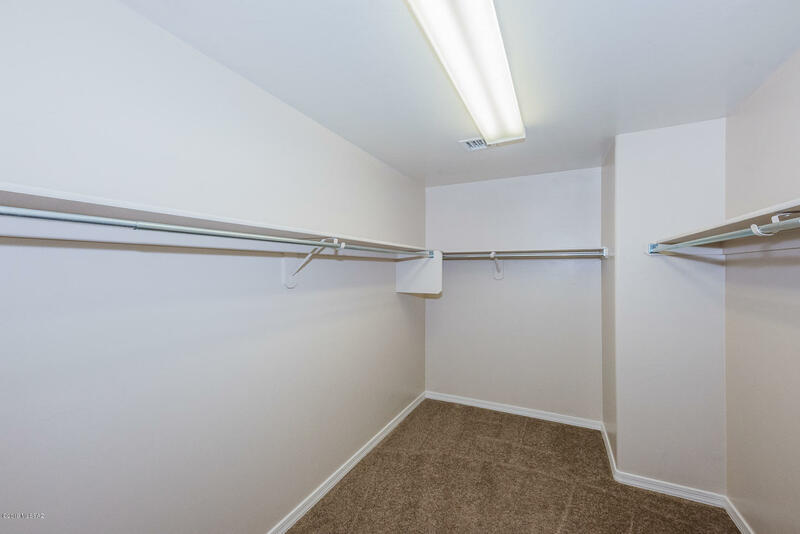 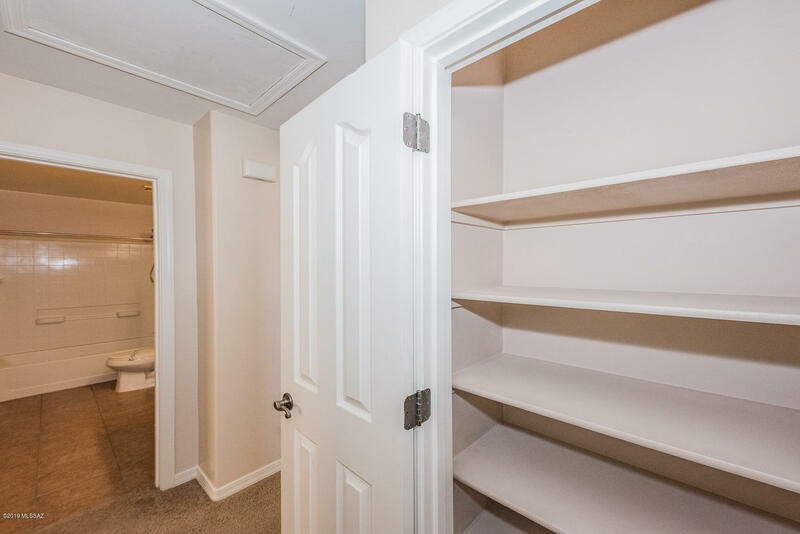 Three more bedrooms round out the upstairs and all have walk in closets and ceiling fans! 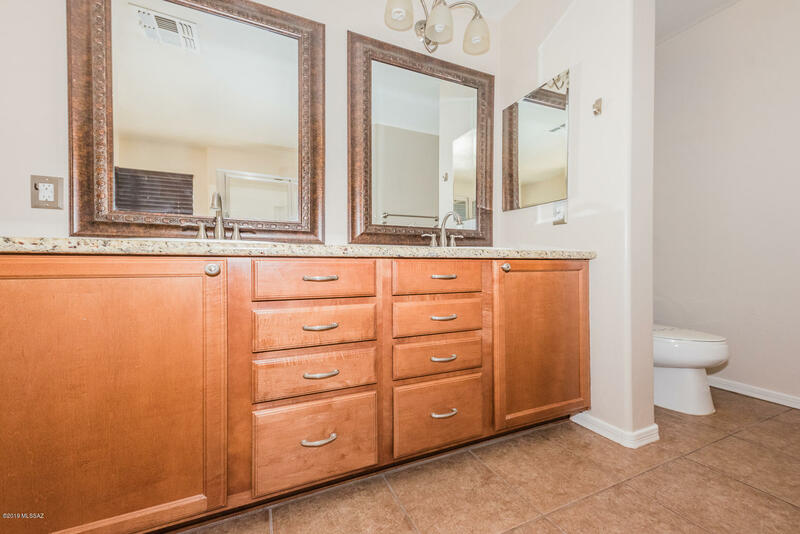 Hall bath with granite vanity! 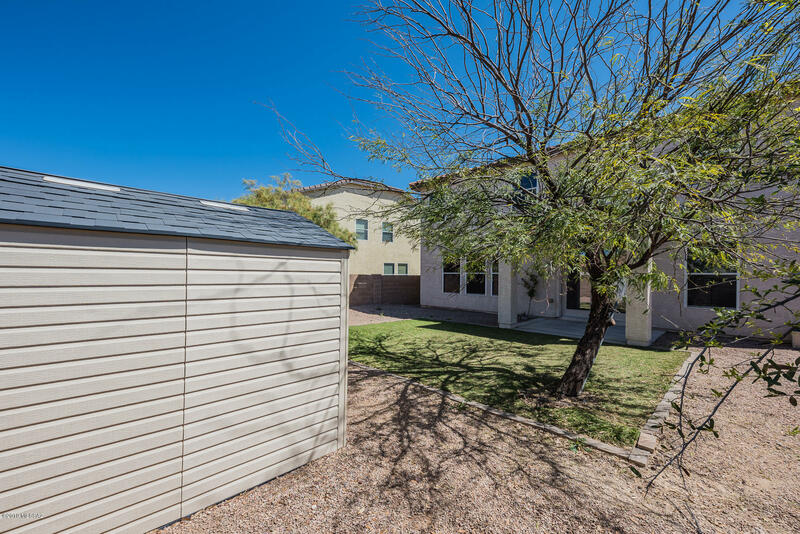 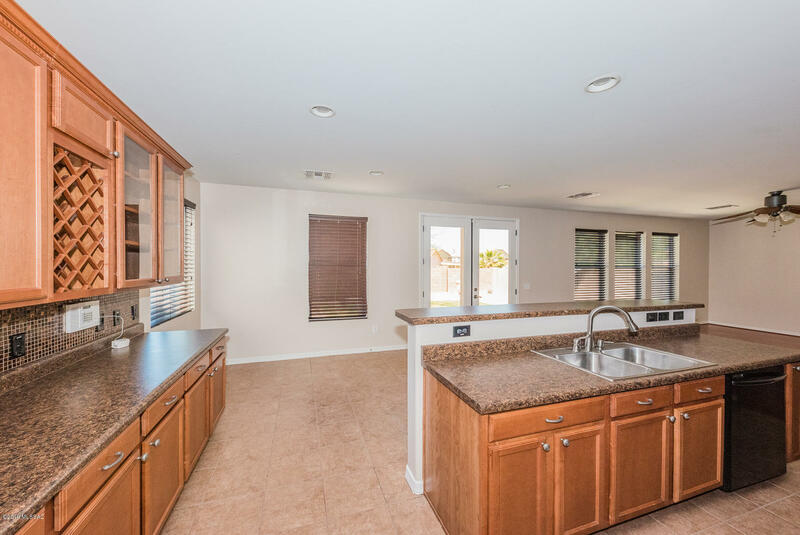 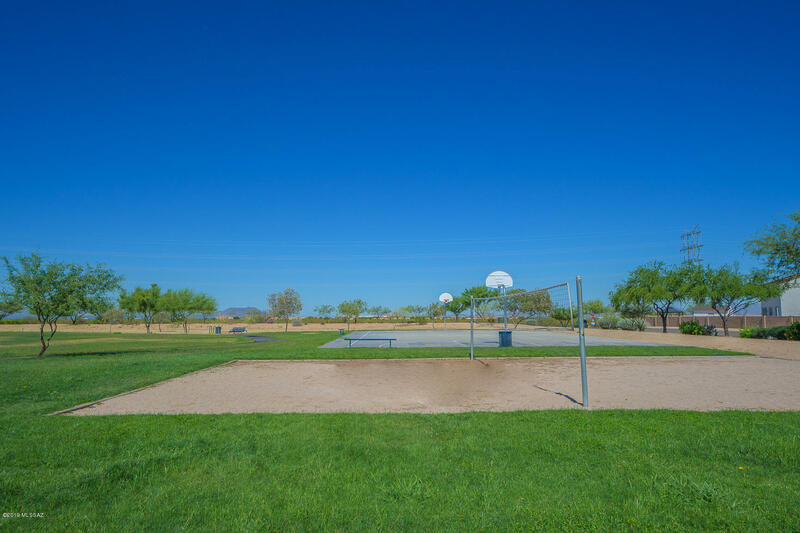 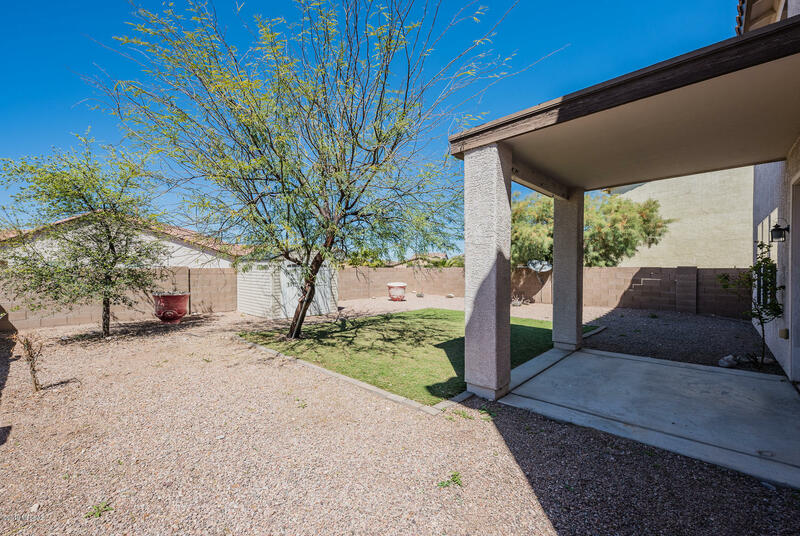 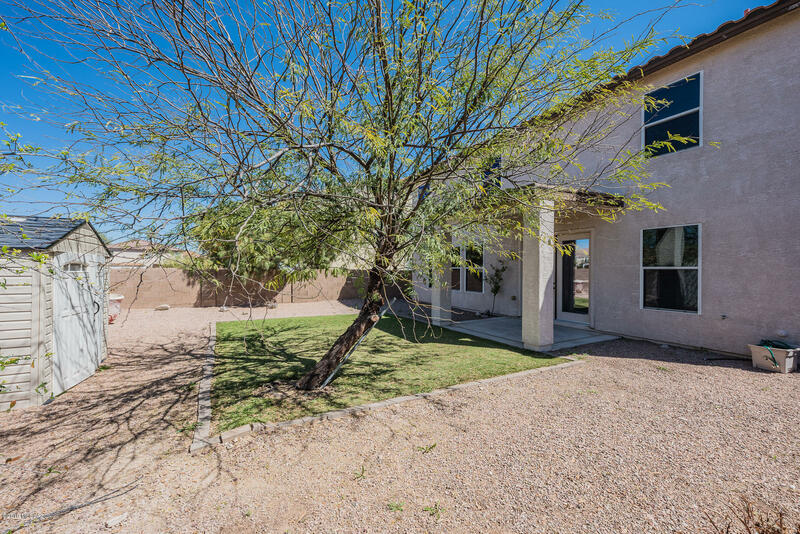 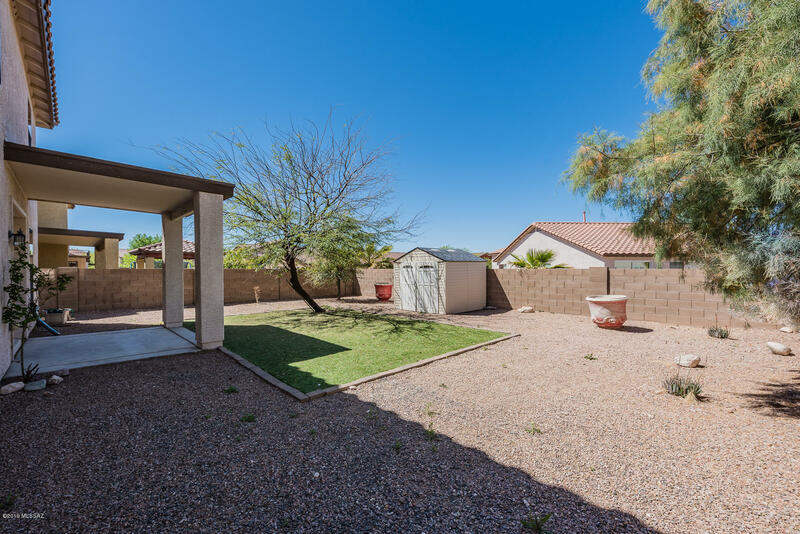 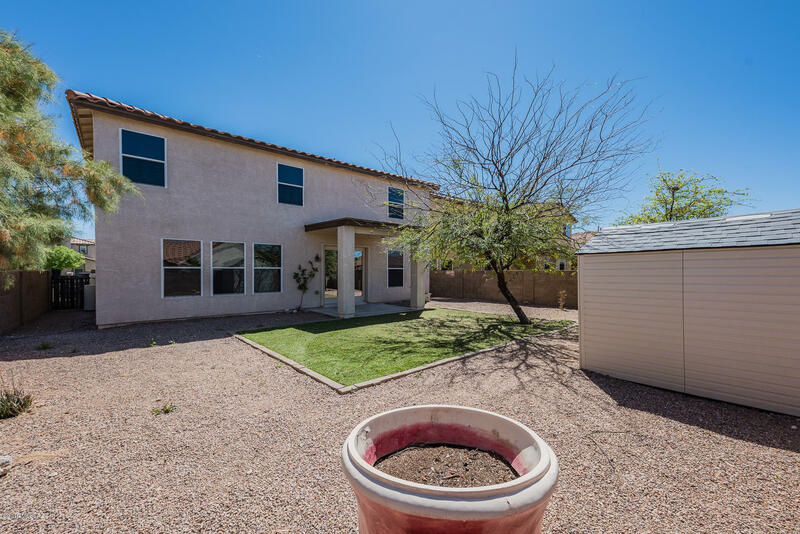 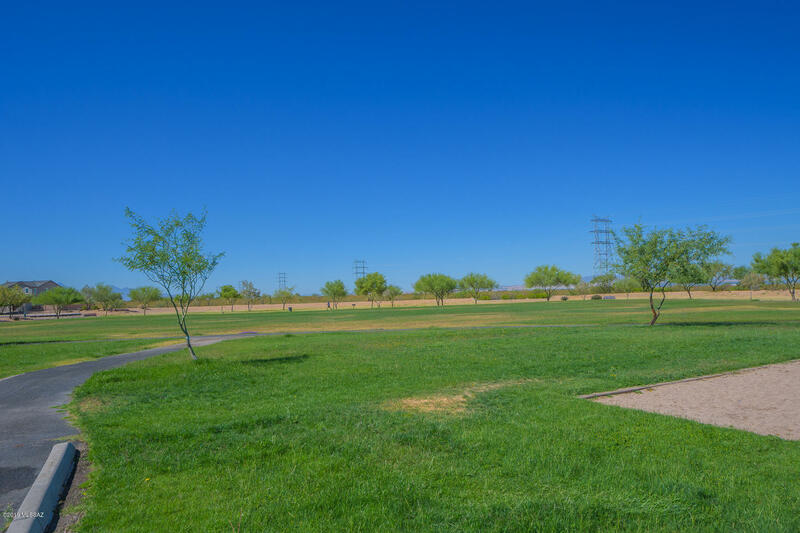 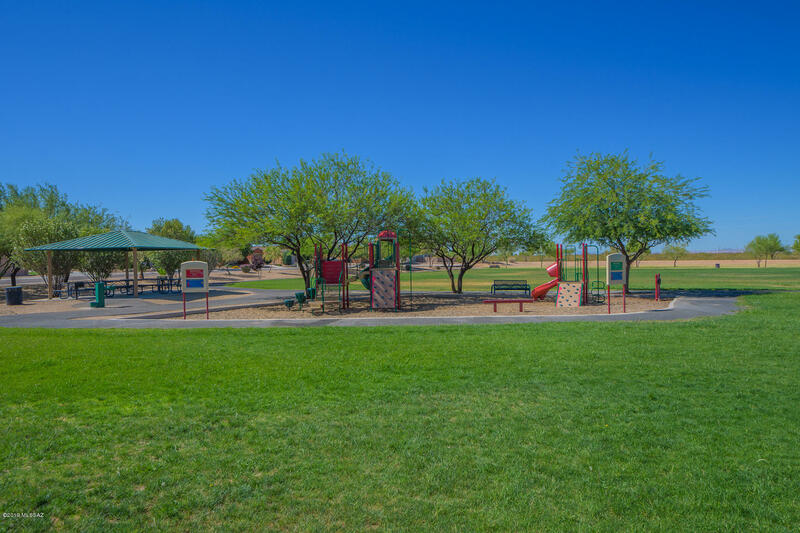 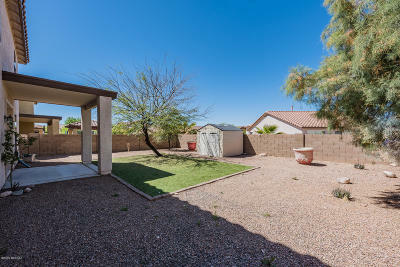 Back yard is perfect for enjoying Tucson weather with a covered patio and tastefully landscaped space.